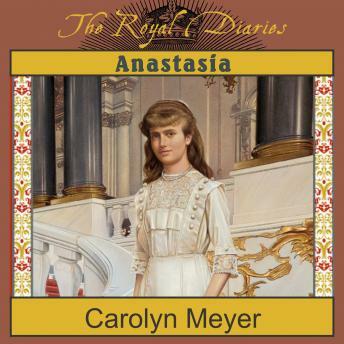 Award-winning author Carolyn Meyer introduces readers to the unforgettable Anastasia Romanov, whose idyllic life is forever changed with the coming of World War I. In this fictionalized journal, Anastasia Romanov lives again. Through her eyes, we witness the day-to-day splendor the czar's family experienced before the onslaught of the Russian Revolution. However, one senses also that crowding the outskirts of Anastasia's ornate diary are hundreds of thousands of teeming serfs, just beginning to percolate.